We often get asked how to use our products effectively. And while we love answering your questions, we thought it might be useful to create a ‘How To Use’ guide for two of our most popular products – Tech Wash and TX.Direct Wash-In. Set your washing machine and wash according to the garment’s care label. 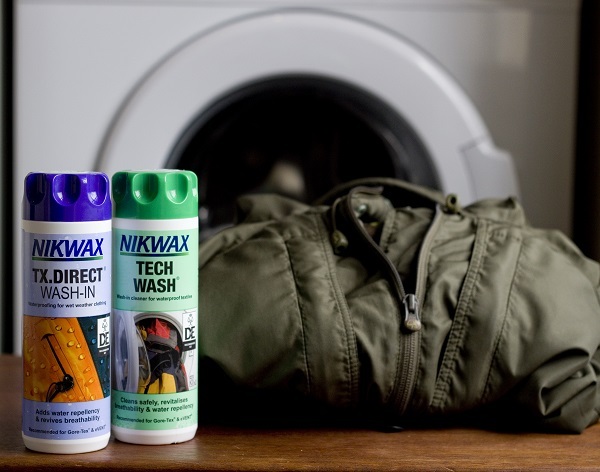 For those stubborn stains that just won’t come out, use Nikwax Tech Wash neat with a sponge or nylon brush and scrub lightly before cleaning with Tech Wash as normal. And voila! Clean and waterproof garments with minimal hassle and great results.